Following up recent discussions about what information design is and how it can be defined, I decided to write a little contribution trying to tackle information design from: its definition (history, objective, boundaries? ), its theory (education = foundation levels, research?) and its practice (work = clients). Of course, I know what information designers do, or are supposed to be doing (as sometimes theory and practice are not the same), but I am still looking for THAT technical and exact definition that would support my thoughts (as a researcher—even though I have over 9 years of experience in information design—I can’t just say that something is what I think if I don’t find something to support it). So, while writing up my PhD thesis, I decided to look for answers into all media: books, websites, lectures, and interviewing experienced information designers. However, the more I read, the more confused I was. I came up with a wide spectrum of definitions about information design. Most of them share the same words: information, design, visual, communication, diagrams, graphic; but those words were not ‘connected’ in the same way, as a result the definitions did not seem to be defining the same discipline. I used to believe that the key to find an appropriate definition of information design was to start from the beginning, its ‘mother’ discipline: graphic design. I had the theory that information design was a ‘branch’ of graphic design, which had evolved from typography and editorial design. However, after I completed my PhD I am not sure about that any more. Graphic and information design do share points in common (like chemistry and medicine do), but at the end they are two different disciplines. Following this parallelism, even though a chemist has learnt the same theory than a doctor, he/she might never think of working (in practice) as a doctor, or vice versa (chemists do lots of experimental research and work that doctors are not familiar with). But with design, the boundaries are not so strictly defined (or respect? ).There are tonnes of examples in which graphic designers are solving information design problems, and vice versa. It can be argued that this ‘swap of works’ may be happening because information design is ‘a new discipline’, but that is not true. Information design examples date from hundreds years ago (just take a look to one of Tufte’s books), but it seems that was only around the 1940s when information design begun to be taken ‘seriously’ as a different discipline from graphic design. Nevertheless, in practice, this difference seems to have been stated among designers, and not as common knowledge. So, first lets try to define the term: information design. For this, I make a kind of ‘Frankenstein’ definition, taking a bit of here and a bit of there. Technically, the term information design emerged in the late 1940s and early ’50s and its usage became commonplace by the late 1970s. The designer Ladislav Sutnar is considered the progenitor of the information design discipline, as he stated the importance of functionality over aesthetics in graphic design projects and the need to control and organise information in order to effectively communicate it. However, a conscientious definition of what information design is, or what its boundaries are has not been defined. In short, information design involves understanding, planning, organising, writing and designing, is content-driven and user-driven and prioritises comprehensible visual outcomes over aesthetic ones. The main objective of the discipline is to make the complex understandable rather than beautiful. This does not mean that information designers ignore aesthetic concerns. Information designers deal with aesthetic concerns in later stages of the problem-solving process, the primary stages being the thinking ones. Thus, information designers are process-thinkers as they plan, organise and design the communication of information in a systematic and methodical way. The information design process involves different stages, actions and tasks, such as strategic planning, problem analysis, methodology development and visual design, which make a team approach essential for this discipline. For information designers the development of an effective product begins in the problem-solving process, where understanding and organisation are the essential stages. Although information designers and graphic designers seem to employ similar problem-solving processes, information designers add more stages (or sub-stages), shifting the emphases within that process. There can be found two trends among graduate information designers. (1) PRACTICE: Some information design students, when they finished their BA courses, they enter straightaway to workforce and do practice to gain experience. (2) THEORY: However, others keep studying and start postgraduate courses, such as MAs or MRes, MPhils or PhDs. It is worth noticing that moving into PRACTICE or into THEORY is not a one-way journey. 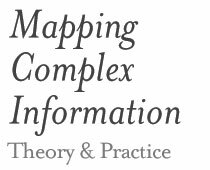 Information design practitioners can move into THEORY at any point of their professional PRACTICE, and information design researchers can enter the PRACTICE even after years of THEORY. However, when both PRACTICE and THEORY are combined, more effective results can be obtained, as THEORY needs PRACTICE to 'prove' their hypotheses, and PRACTICE needs THEORY to improve their solutions. Theory: education = foundation levels, research? Information design education is not strictly defined either, as there is not a universal educational programme. It varies from one country to another, and even in the same country, universities do not share the same information design educational programmes. Here there is an interesting point. The number of universities, which offer BAs, MAs or PhDs entirely about information design, is extremely low (True, my PhD is not exclusively about information design education, but I did have to dive into this subject while doing it). Again, trying to find answers, my first thought was that the lack of information design courses might be related to the type of education in each country. As an example, Design education in Argentina is quite broad. Throughout the 5-year course, design students are taught about everything: history, semiotics, typography, morphology, editorial, web design, packing, information design. Technically, at the end, they should be able to solve any kind of design problem. While, Design education in UK is exactly the opposite. There is a specific course for every aspect of design. As an example, the London College of Communication offers 15 different BA Design courses (not taking into account product or engineering design, while in Argentina there are only 5 BA Design courses, which are, at the same time, different disciplines: graphic design, product design, textile design, environmental design and sound design). However, none of those 15 courses is entirely about information design. The closest is the BA (Hons) Graphic and Media Design – Design for Information, in which second year students can choose to specialise in information design. University of Reading is well known as a place to study information design, but, again, it does not offer undergraduate courses entirely about information design. Fortunately, they do offer the MA Information Design Course. In terms of postgraduate courses (research), information design can be approached form many perspectives: technology, computing engineering, software development, mathematics, science (i.e. biology, chemistry), medicine, statistics, social science, and, finally Design. An information design research (as any other from a practice-led discipline) can be led for practice, theory, or both. As an example, University of Reading has a theory-led approach (to information design research), while others universities (i.e. Royal College of Arts and University of the Arts London) also offer practice-led research programmes. However, the number of information design postgraduate courses is even lower than that of undergraduate courses. In terms of practice, information designers’ spectrum can be quite broad, although not many potential clients are aware of that. The current establishment of information design departments in non-design companies and the integration of information designers in multi-disciplinary work teams are important steps towards the ‘independence of’ information design as a discipline. However, it is not easy to find job vacancies (at least in Spain, UK and Argentina) exclusively asking for information designers. This indicates that information design opportunities might be hidden within broader departments, and in most cases not related to design at all. As I have mentioned before in this post, the emphasis in information designers’ problem-solving process is different to that of graphic designers’, for example. Information designers not only put form to content, they also take part in previous stages of designing. As a result, their presentation cards are not always ‘beautiful’ sets of outcomes, instead they can have a set of different ways of understanding a problem, such as case study analyses, primary/secondary research, data analysis sets; which makes even harder showing what information designers do. Often designers, researchers and clients tend to think that PRACTICE and THEORY cannot work together. Design practitioners are often defined as practice-led professionals, while design researchers as theory-led experts. However, there is a third typology of designers which combines PRACTICE and THEORY (I belong to this typology) (see image below). This typology of designers should be better prepared to solve information design problems, as they have a broader set of tools than that of practitioners and researchers. These designers work bridging PRACTICE and THEORY. In a discipline as information design where understanding and organisation are the key actions, this should be essential. Information designers who have combined both PRACTICE and THEORY seem to be more prepared and have more tools to solve information design problems than design practitioners and researchers. I know that quite a few points could be endlessly discussed, but this post is only an attempt to sharpen key points that so far seem to be a bit blurred. There is still too much to be done for information design in both its PRACTICE and THEORY. > This post is based on findings obtained of my PhD workshops, and conlclusions of my PhD thesis. Your blog is really interesting to read. I translate researcher ideas into graphic explanations (as best I can). After reading your blog, I now know that most of my work is information design, not graphic design (in the traditional sense). I wish there were more resources out there for information designers (most of the places I go to grow my skills have tutorials on how to create an exploding planet or a fantasy landscape). Hi Jannette, thanks for your comment. what kind of information design resources are you interested in? maybe I can give you some references. Currently I go to http://infosthetics.com/, http://simplecomplexity.net/, http://imprint.printmag.com/nicholas-felton/, http://www.coolinfographics.com/, http://www.infographicsshowcase.com/, and now your blog for inspiration. However, my projects tend to be more corporate visualizations of challenges and causes, step by step processes, life cycles, etc. Not so fancy as the examples on most of those blogs. If you have any other places on the web you go for inspiration, I would be very interested. It’s really all about making information simple and easily digested. Hi Jannette, for the links you sent me you are looking more into information visualisation than information design. Not sure what are your interests, but if you are looking for info design it would probably help you if you can have a look to more ‘theory-based’ works and sources, such as info design and visible language journals, so you will se less fancy examples and more tips that may be helpful for your work. You can also try to look for some examples of the Isotype graphics (http://www.fulltable.com/iso/index.htm), as its principles can be applied in other projects. Tufte and Wurman are always worth having a look. Hope this helps, good luck! Although, as you mentioned, you could not define Information Design in one sentence or one paragraph, I really appreciate the way you have dissected it instead. I am hoping to study Information Design at the University of Pretoria in 2015 and this post has been incredibly helpful and insightful. I don’t suppose you already have or would be willing to attempt a similar dissection or analysis of the concept of ‘Slow Design’? I find myself so interested in it yet unable to really understand it fully. Thanks for your comment. Glad to know that you found this post useful. I haven’t heard of Slow Design before, but now I’m curious to learn a bit more about it. How did you know about it? Best of luck next year with the information design course. Thanks. I recently met with an Information Designer who touched on the subject of Slow Design. She explained it as a more old-school, as in less rushed, process of design whereby people are going back to, for example, hand drawn techniques and skills instead of computerized ones. This causes the process of design to be slower in comparison to the computer age which is so incredibly fast. However the final product has greater detail, is more thought out, is more original and more authentic. Hi Josie, thanks, I will look at the concept of slow design and see if there are any links with information design. Thanks.